Every-time I use the acronym MAEAP…I think of the roadrunner cartoon “MAEAP MAEAP”! The Michigan Department of Agriculture and Rural Development (MDARD) has had a Michigan’s Agriculture Environmental Assurance Program- MAEAP program in place for many years to honor farmers who are environmentally friendly; recently in the past year they have added a forestry component. Forest, Wetland & Habitat- geared towards farmers and private landowners who have one, two, or all three of these components on their property. 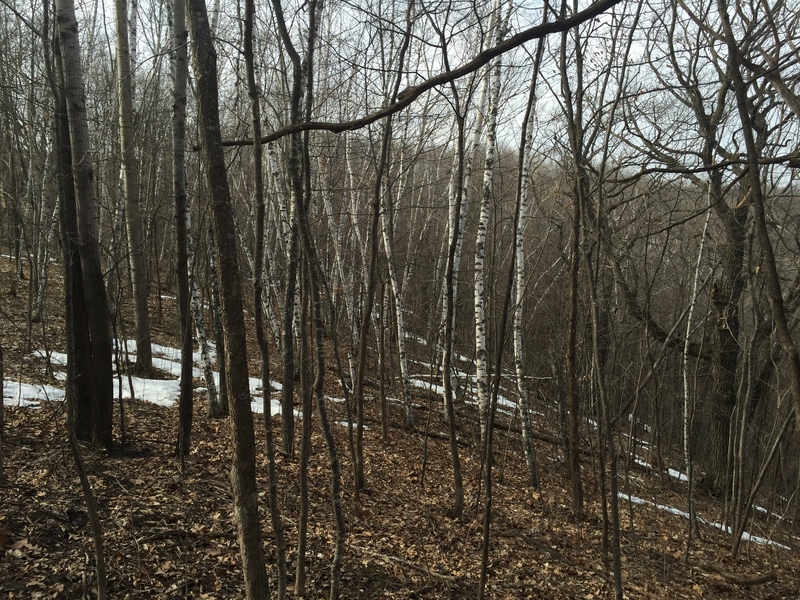 Many farmers have woodlots and can add it to their list of verified components. Farmers and landowners go through risk assessments at their own pace and when they meet all the high risk (erosion, chemicals, ect.) they can become verified. It is a voluntary program, and is confidential. I was given permission by my landowner to talk about it. Being a forester under the MDARD umbrella, we took on the forestry part, while the MAEAP technicians focused on the agriculture parts. When first learning of this new program, I immediately knew who fit the bill for it. To be apart of it, you really have to be “one” with your land and active on it, and willing to keep up with it. Norm, young at heart, has been following the words and wisdom of Aldo Leopold. When he was younger he read Aldo Leopold’s, Sand County Almanac and was inspired and it has never left him. He spent two weeks in Baraboo, Wisconsin at the family shack, learning the ways and Aldo’s legacy. When I first met Norm, back shortly after I started here, he was just looking for direction to update his management plan. I figured it would be another typical walk through the woods, chatting about deer management, and a quick referral. To my surprise, I was wrong! We sat down that first day and he showed me the plans he had written for the last 20 years, his records of his control for invasive species (Autumn olive) and other activities he had done. He has records for putting his property into a conservation easement and the real kicker is his mission statement. While reading his mission statement, again inspired by Leopold, I was brought to tears. It is not often I meet someone with the same values as I. I was humbled and overwhelmed by what he had written YEARS ago. A holistic approach for sustainability of all parts of the land. I collected myself and we took a tour of the property…. As we toured the property, Norm pointed out the some 60,000 trees he planted- most by hand and some by machinery. He took an old abandoned farm and turned it into a nature paradise. He put up signs with species and dates, not only for him to remember the date but for his grand kids when they inherit the property. He has his hardwoods stands marked by color for easier tree ID for them as well. Norm is an organic farmer with fruit trees and bees and provides ample habitat with 10 wood duck houses, buffer zones along his wetlands and has even restored his section of the Cedar River back to a blue ribbon stream for great trout fishing! That first tour, I left feeling a sense of calm and happiness. Now, trying to get a hold of Norm is not always the easiest- because he spends 7 days a week out at the property managing it, so either I have to drop by or wait for a call- but the wait is always worth it! Because, I was so inspired by Norm, I knew I had to take everyone and anyone out there whenever I could. He was always ready to share his story with anyone who would listen. I took a group out there to verify his property with MAEAP, and just recently took a group of landowners out there for a field tour on managing your woodlot. EVERY SINGLE PERSON, left there thanking him and thanking me for allowing them to experience such beauty. He has even been Conservationist of the Year and Tree Farmer of the year! If you ever get an e-mail from me, this quote is part of my signature. I put it on there in hopes to get as many people to read it as possible. My hope is it latches on somewhere in folks minds and the next time they are outside they will make “better” choices than the day before. Yesterday, I went out for a site-visit with a landowner who had just acquired the 10 acres of property next to him and he wanted to manage it because the previous owners had not. When I say they had not…I mean they really had not. Reflecting back to the quote we see the land as a commodity to us…the previous landowners saw just that. Because they were the “owners” of this 10 acres of woodlot, they felt they could abuse/use it in anyway they wanted because it was “theirs”. All over this 10 acres was old dying trees, it was overgrown and unproductive but this is not even the worst of it. Scattered all around the 10 acres were piles of trash, tires and old bricks! I even saw an old baby stroller! The landowner who I was walking with made the comment “maybe they did not realize the trash was picked up weekly”! Instead of recycling or throwing away all this trash they hid it in their back yard woodlot. What they could not see did not affect them. The good news is the new landowner is chiseling away at this trash and cleaning it out and harvesting it to bring it back to a natural forest again. This all brings me back to the Aldo Leopold quote on seeing land as community versus a commodity. Land is more than a “object” that we own, land can give us so many resources and gifts if we treat it as something that is living with us; part of us, not that we just own it. We need to grow and think about what Aldo Leopold said YEARS ago about Land Ethic. Ethics are our standards/morals we hold for ourselves and how we apply those standards when making choices. When you throw the word Land in front; Land Ethics are the standards we hold leading to the reasons why we do certain things to/on our land. If we do not have good land ethic the land will continue to perish. We need to work WITH nature not against it. Treat it like family/community not an means to an end. Amie Elna(Wild Famil… on Check out that Norway!